Hello there I’m a tutor and teach English to people from Brazil … I am new with wordpress plugins and I installed your program but it didn’t work, It says A FATAL ERROR not too sure why but I was wondering if it is because of the theme I’m using at the moment. Can you help me to make it work? looks like you didn’t install BuddyPress (which is a dependency). Could you try installing it, and test again. Great plugin! Have a small problem though. I installed the courseware plugin with the default buddypress theme, however am unable to find the Courseware dashboard. I followed your video, and somewhere you install your own theme, then viola… the courseware dashboard appears. 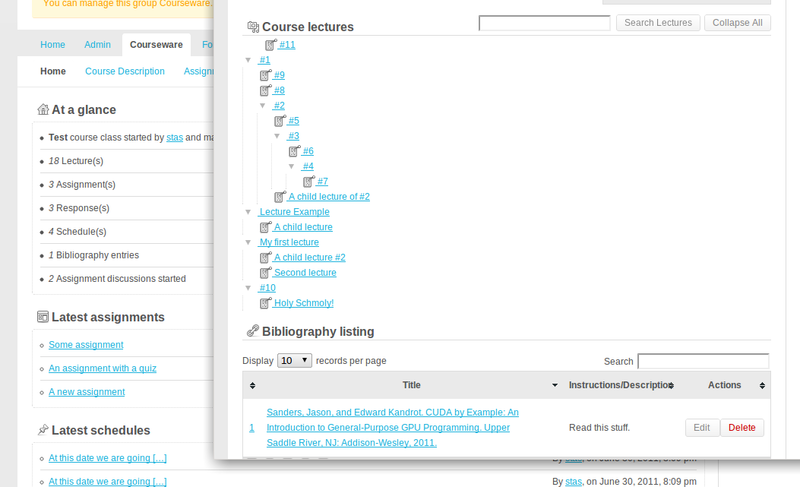 How can I get to the courseware dashboard to create classes? Courseware dashboard is available in every group that has it enabled. To have Courseware enabled globally, enable that option from wp-admin page.